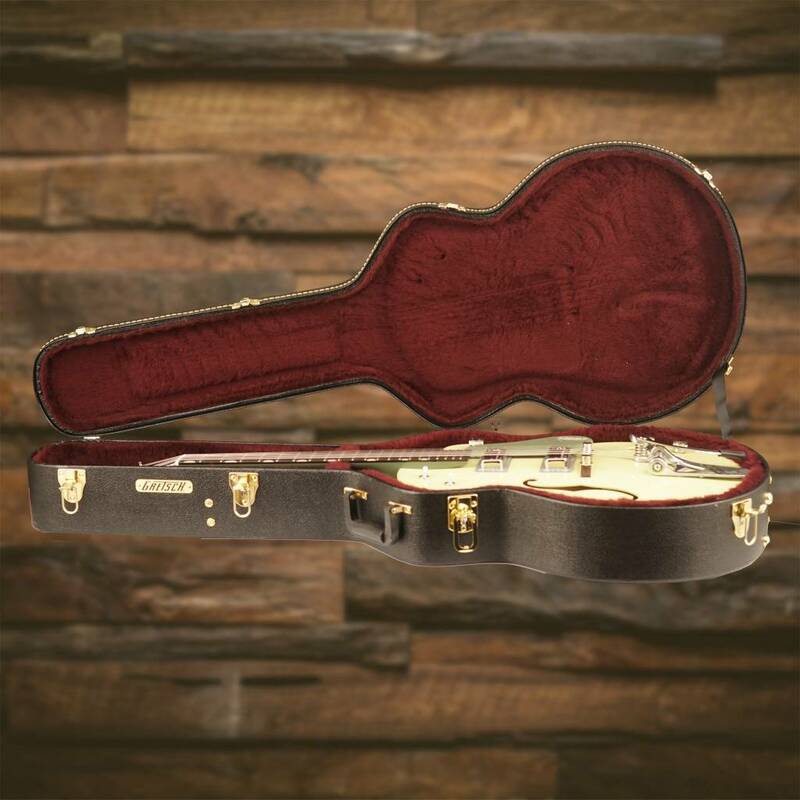 Inspired by the original 1958 Anniversary model released to honor Gretsch's 75th anniversary, the G6118T-60 Vintage Select Edition '60 Anniversary Hollow Body with Bigsby is the "it" guitar. 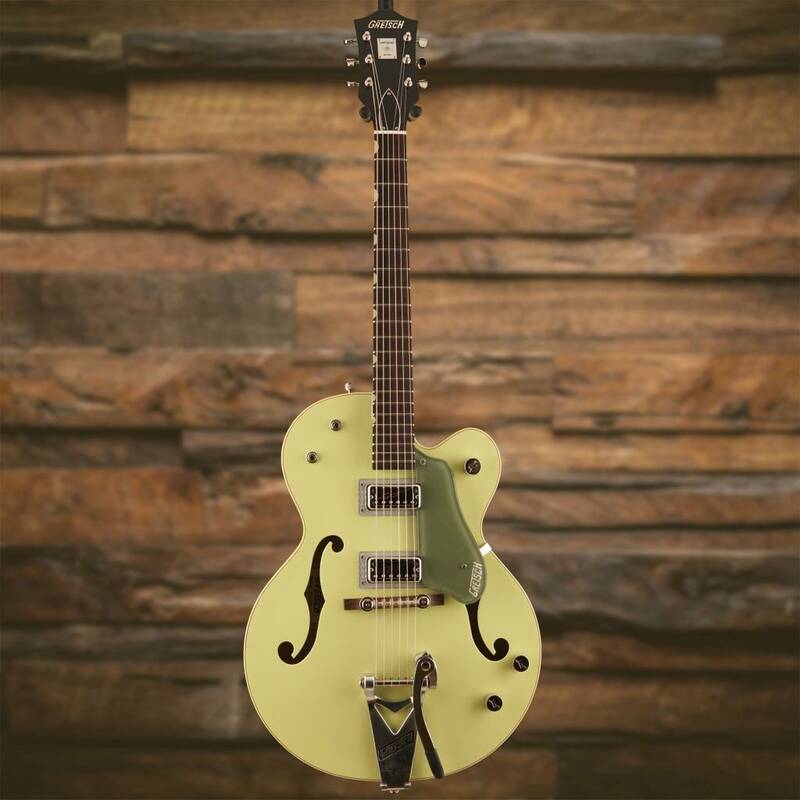 Giant Gretsch sound, easy playability and period-accurate appointments merge in this lightweight instrument that's designed to rock. 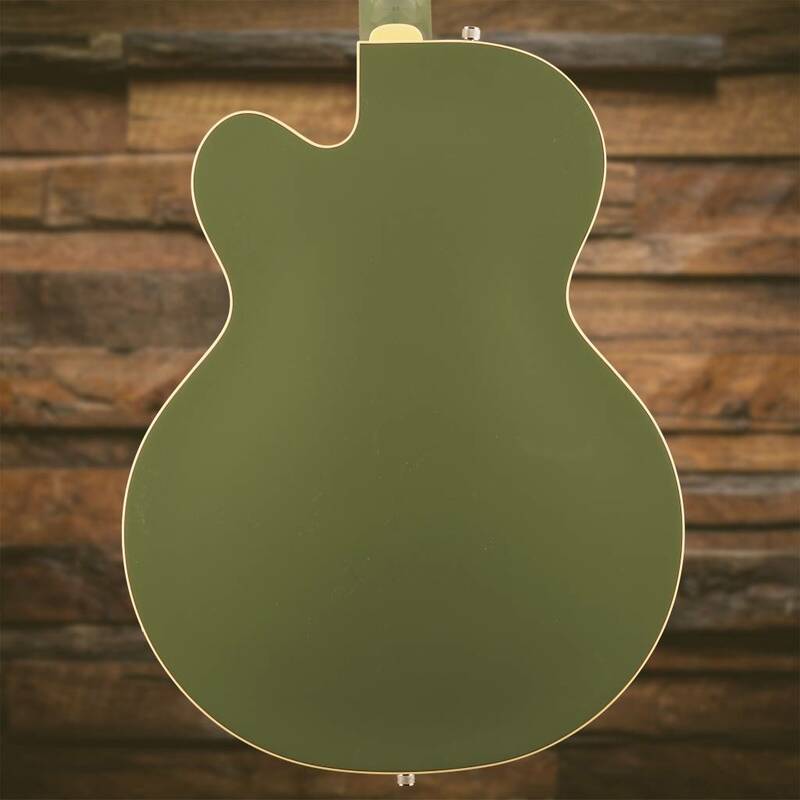 A pair of highly dynamic TV Jones Hilo'Tron single-coil pickups tops the laminated maple body, cranking out brilliant highs, warm lows and rocking mids. 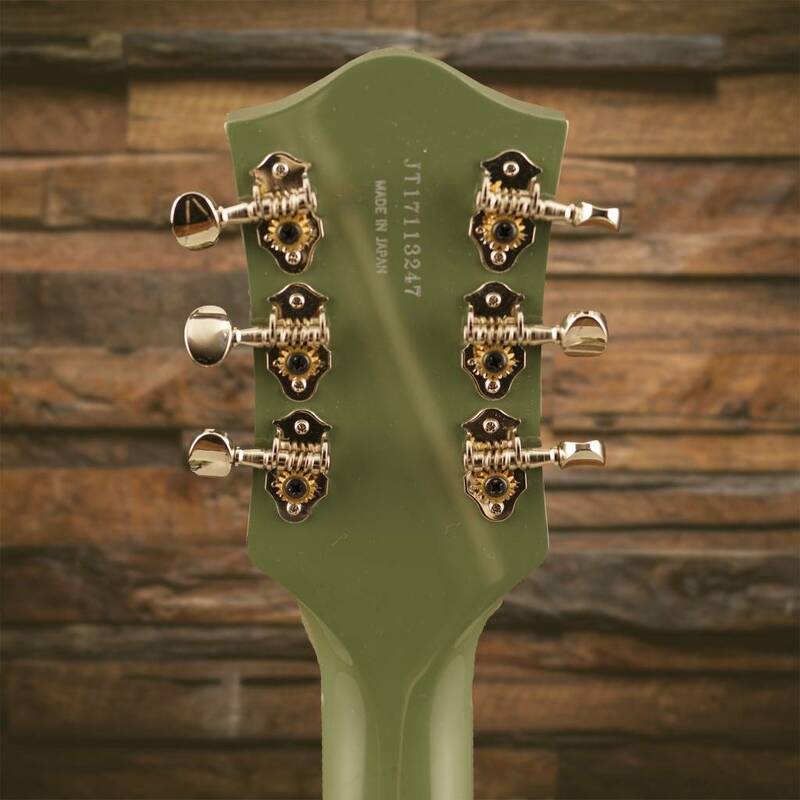 The traditional control complement-separate bridge and neck volume controls, three-way pickup switching, three-way tone switch and master volume-allows for near-infinite tonal variations. 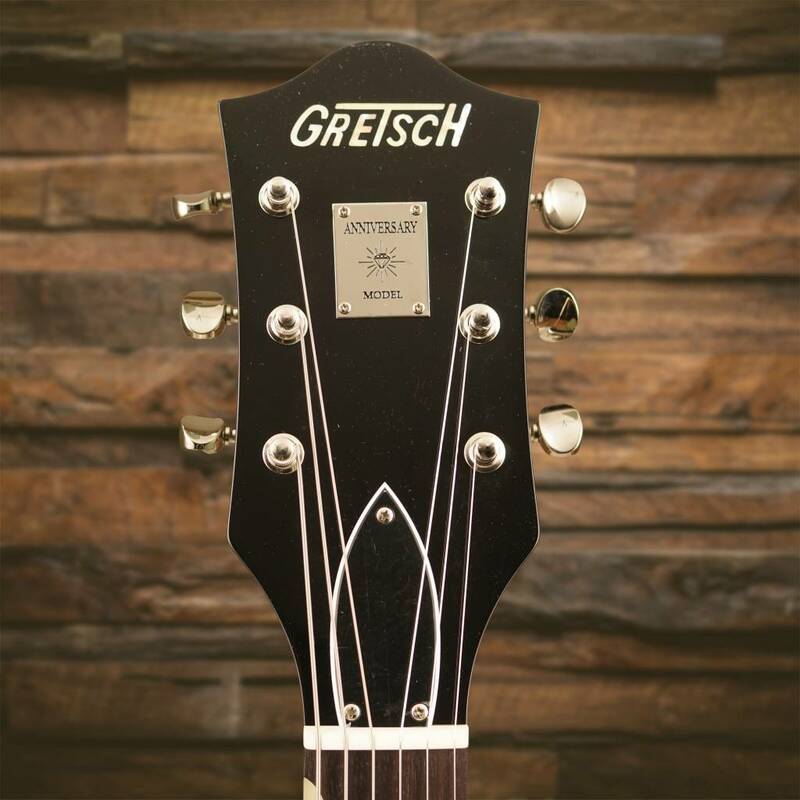 Add the new Gretsch "Squeezebox" paper-in-oil capacitors and you get incredibly silky vintage high end. 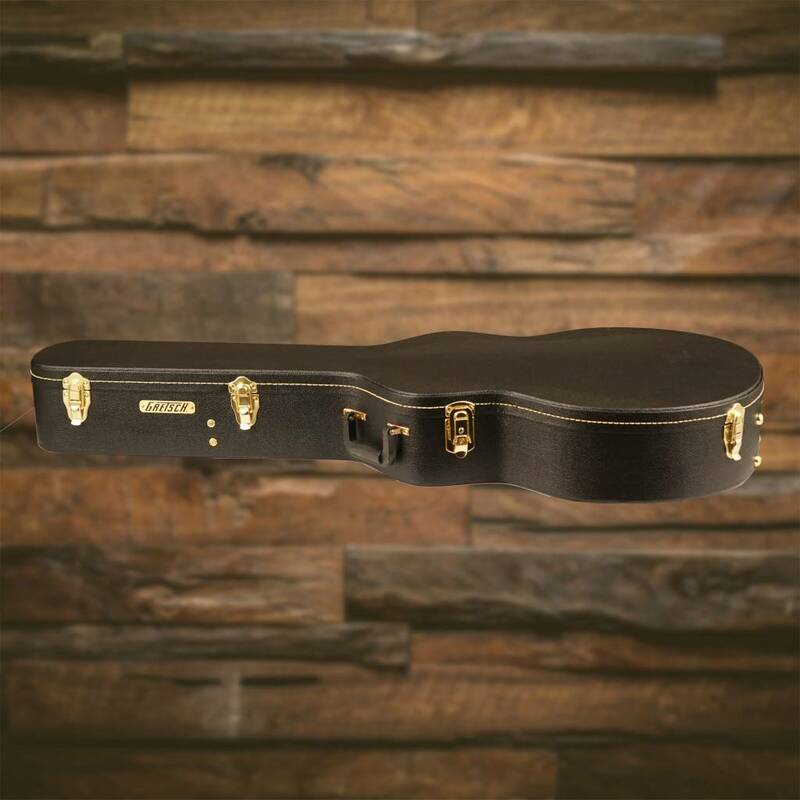 The standard "U"-shaped maple neck bears a 12"-radius rosewood fingerboard with 21 durable medium jumbo frets for a memorable playing experience that works with any style. 1959-style trestle bracing couples the top and back of this unique instrument, generating warm, balanced tone. 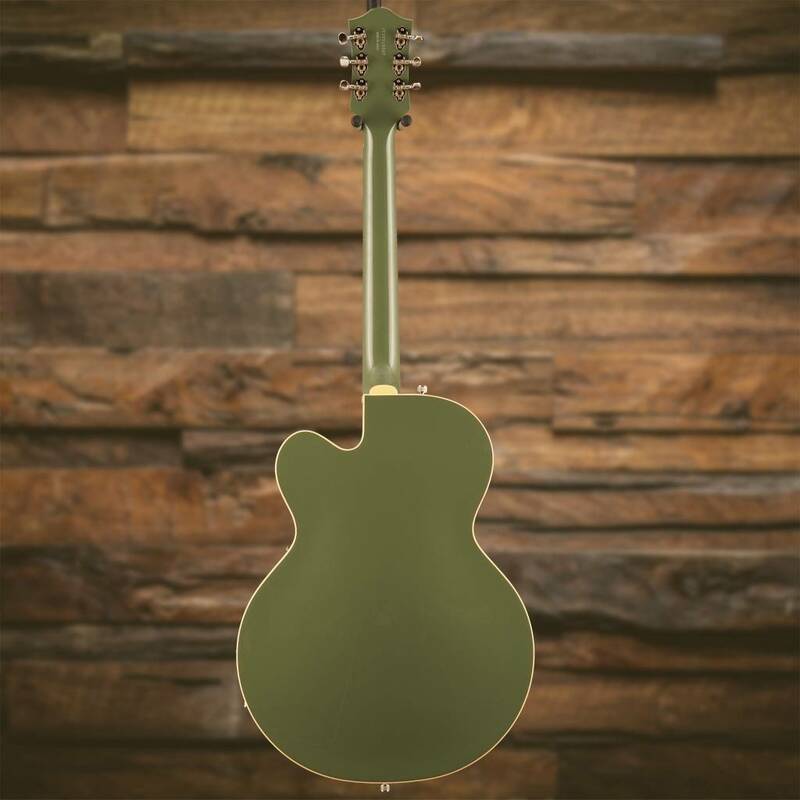 A pinned Space Control bridge lets you dial in string spacing to match your personal playing style-wide for fingerstyle players and narrower for flatpickers. 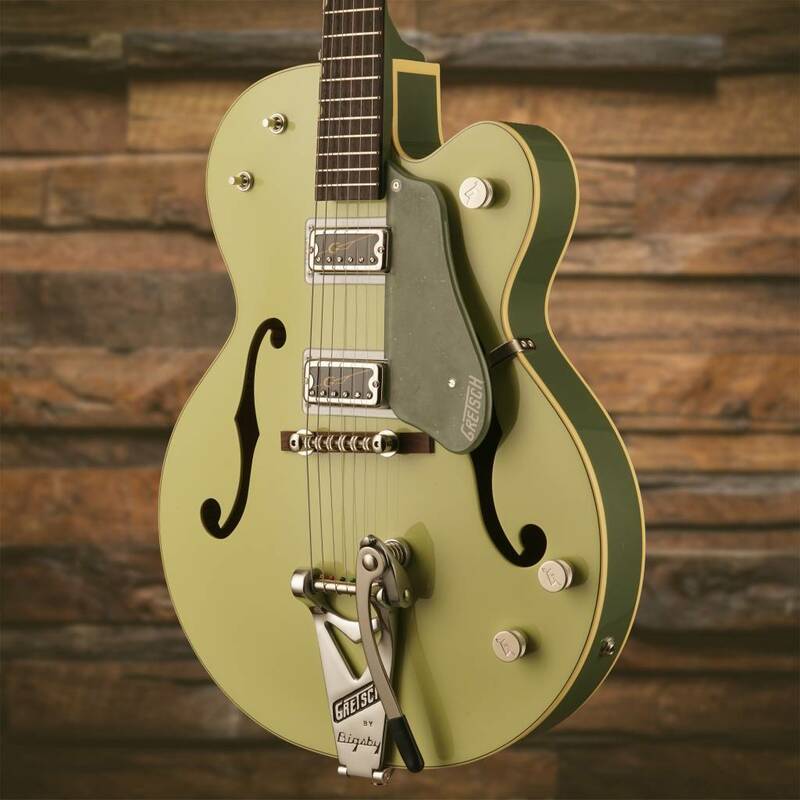 Add expressiveness to your playing with the Bigsby B6CVT vibrato tailpiece while the expertly cut bone nut lets the strings slide freely, without binding in the slots, and enhances the guitar's natural tone. 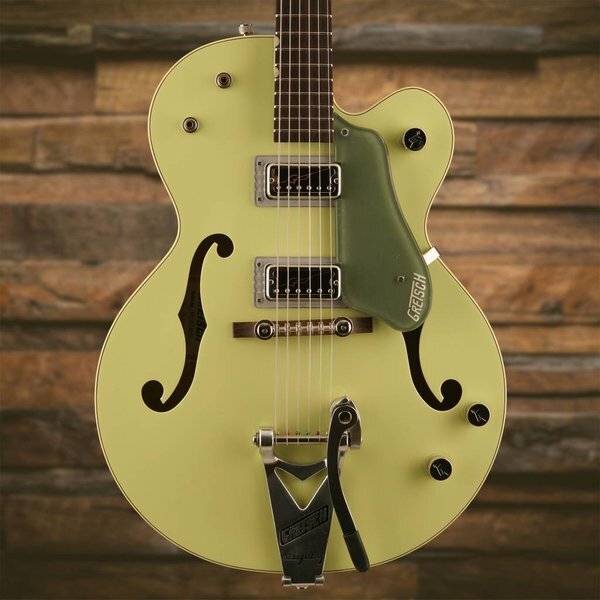 Celebrating the past while meeting the needs of any player, this instrument retains the in-demand features that made the Gretsch Anniversary an icon -nickel "G Arrow" control knobs, aged white binding with black purfling, gloss urethane 2-Tone Smoke Green finish and nickel Grover Sta-Tite tuning machines. 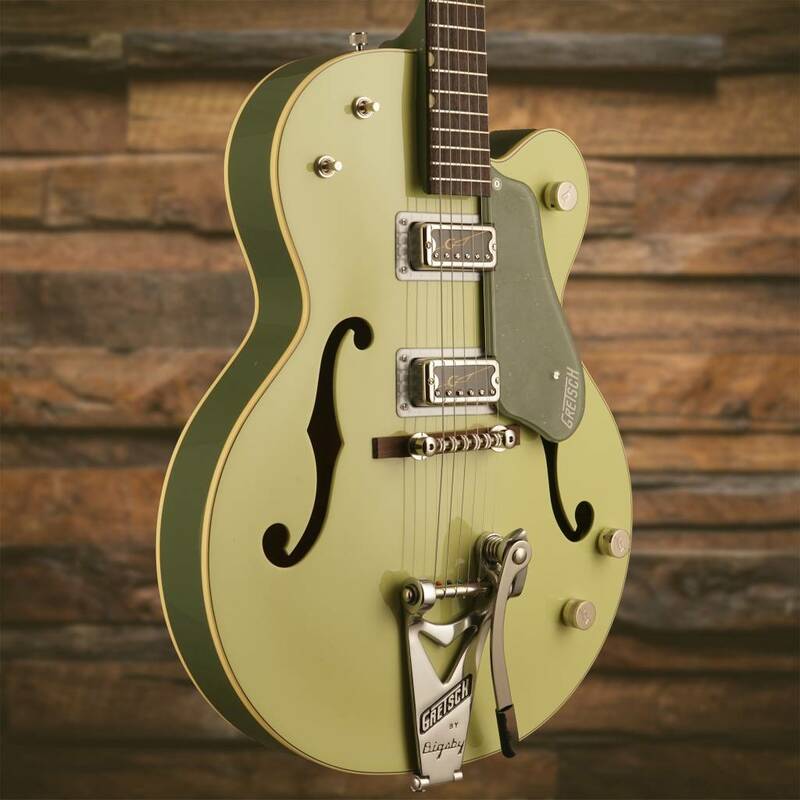 Honor your commitment to your music with the G6118T-60 Vintage Select Edition '60 Anniversary Hollow Body with Bigsby-a serious instrument for serious players.